While talking with Johnny Mains we were trying to see if there was a link between Alan Bott and Herbert van Thal. They were both friendly with Sir Hugh Walpole and it is a distinct possibility that they could have met up socially at Brackenwood, Walpole’s house in the Lake District. 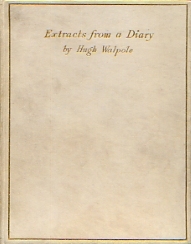 Walpole, to celebrate his 50th birthday had privately printed and bound in vellum by The University Press, Glasgow 100 copies of his work “Extracts From A Diary’ which he intended to give to his friends at his party. 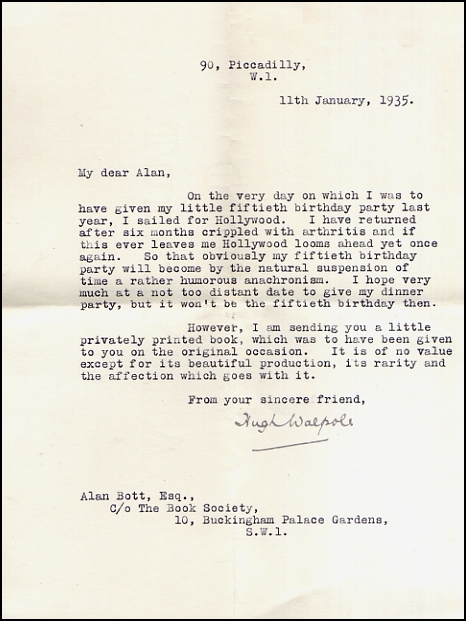 Unfortunately he wasn’t well on his birthday so the party was delayed as shown in a letter he wrote to Alan Bott. I was wondering if val Thal got one as well so I have been trying to track down other copies but although I have the following numbers and their locations only a couple have their recipients name. Thank you to all the libraries that took the time to reply to my enquiries to check numbers and dedications etc. 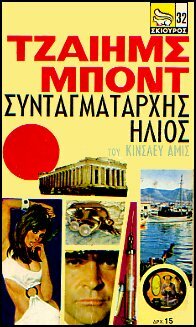 While looking on Peter Lorenz’s excellent site I noticed he had some Greek James Bond covers that looked vaguely familiar. He put me in touch with a Greek James Bond fan, Anagnostis Karras. I was very surprised when Anagnostis said he had a spare copy of one of the titles and would I like it? The book as I’m sure you can all work out is ‘Colonel Sun’ as the Kingsley Amis is a bit of a give away but some of the others are very much more PAN look alikes. 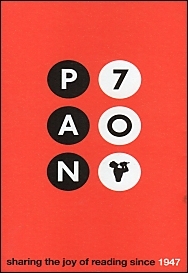 The publishing company is Squirrel hence the logo and has a list of titles by George Simenon, Agatha Christie, Peter Cheyney, Leslie Charteris and Patrick Quentin again all authors also published by PAN. 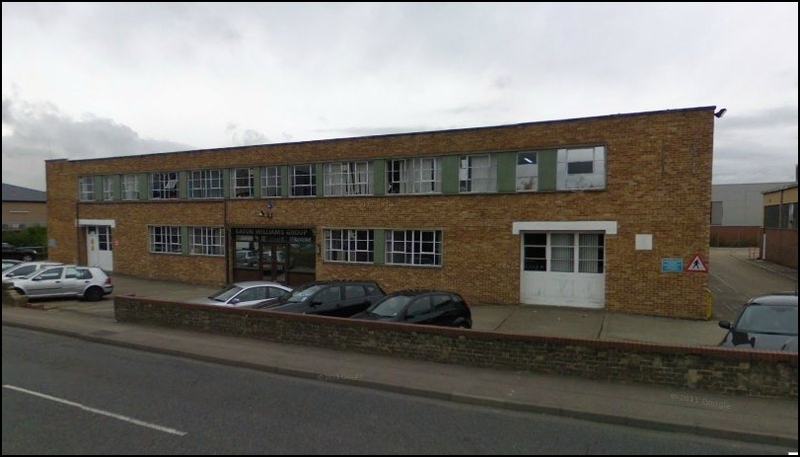 Back in March I mentioned the PAN Books Despatch Centre in West Molesey (1956 to 1961) and that the building is still there, Since then I’ve discovered that it then moved to Edenbriidge (1961 to 1964) before going to Basingstoke. The building in Edenbridge is still there and I hope to call in at the end of the month.